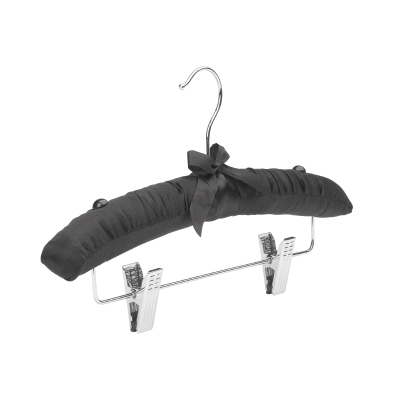 Satin Padded Clip Lingerie Hangers. Sold as a box of 50 hangers. Comes with silver hook. 32cm Wide (320mm). Designed to last longer with an internal frame made of wood. Tiny beads take lingerie straps. Ideal for lingerie. Available in three colours - Black, Red or Ivory. 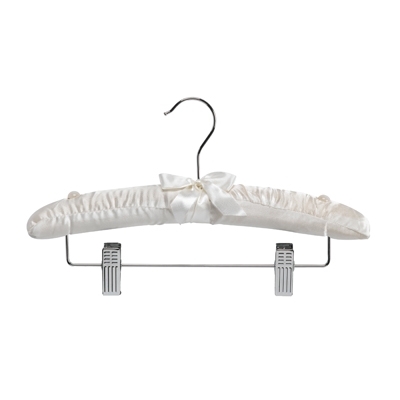 Satin Padded Lingerie Hangers. Sold as a box of 50 hangers. Comes with silver hook. 32cm Wide (320mm). Designed to last longer with an internal frame made of wood. Tiny beads take lingerie straps. Ideal for lingerie. Available in three colours - Black, Red or Ivory.